IMPORTANT! 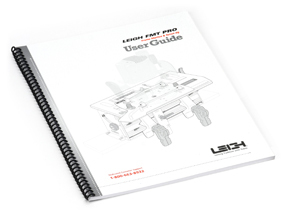 A user guide is included with every Leigh jig and attachment. Order only if you require a replacement or update from a previous version. Most Leigh user guides are in a larger format now, with the same content, high quality images and detailed text, as the previous guides. Each user guide is also available as a downloadable pdf. Click here.